The Corporation sales and Export handicrafts, Handloom , Khadi products of village Industries and other products produced and manufactured in the State of Jammu and Kashmir as a supplement to private effort .It makes available technical, financial and other assistance to co-operatives, producers, small traders and their associates, to produce and supply raw material. Tools and equipments and establishes a system of inspection and quality control.Products marketed are Shawls ,Carpet,Paper Machie, Ghabba ect.It is said that shawls were famous from Kashmir even in the times of Emperor Ashok but many writers credited Sultan Zain-Ul-Abidin ( 1420-1470 A.D) as the initiator of Shawl Industry in Kashmir, the Mugals Emperor Akbar experimented with various styles and encouraged weavers to try new motifs, which helped establish a successful shawl industry. 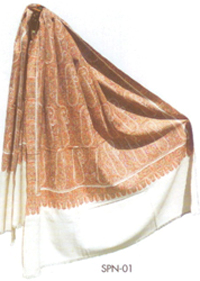 The shawl, or shoulder mantle, has been in existence in India in a variety of forms since ancient times, serving the rich and poor as a protective garment against biting cold. Though shawls are worn and used as a warm protective garment all over the northern states today, Kashmir has become synonymous with shawls all over the World. 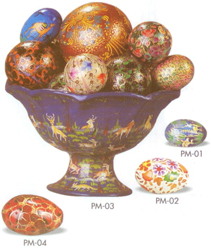 Click here For detailed infromation about J&K Handicrafts (S&E) Corp.